Are you ready for Halloween? I know I am not. It is mid-April and Halloween is way far down on the list. I usually never think about it until the end of September or first part of October. Figuring out a costume takes the most time. Then there is food to make and wine to buy. 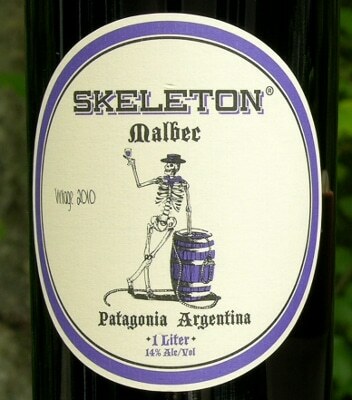 I like to get wines with a label or name that fits with the Halloween theme. Taste counts no matter what the price. Does this wine deliver? I believe it does. 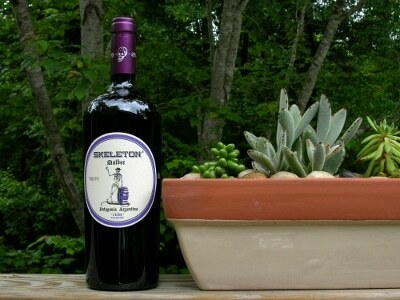 The back label states “…aromas of violets and plum, alongside secondary notes of blackberry jam and dark fruits. The palate is met with a burst of rich, fresh fruit, vibrant acidity and a touch of oak, followed by a long, lingering finish”. I agree with description for the most part and enjoyed the dark fruit flavors. It has a bit of an alcohol bite but not too bad. It has 14% alcohol by volume and is certainly not a wimpy wine. I will buy this wine again. I plan to go back and stock up. It will feel strange and yet nice to have my Halloween wine shopping finished so soon. Do you get things done months in advance? Like Christmas shopping in July? It is rare for me although I cannot pass up a good deal or if I find the right thing. Cheers! Cheers indeed, my friend! This sounds like a fabulous wine! Thanks Jen! I really did enjoy it. I purchased it at a liquor store near my home, Stockbridge Bottle Shop. it is NEVER too early for Halloween! cute label! argentine malbecs are my favorite, so i bet i’d love this. will have to hunt in down in our neighborhood! Keep on drinking delicious wine! Thanks Daniel! I do really like the label. Good job! And I picked up a couple of bottles at the store the other day to get ready for Halloween.